There are a lot of great drum kits to choose from these days, and even more factors within those kits that will affect how each individual drum sounds as a whole. Wrapping your head around all of this information can easily get confusing and difficult to tell some of them apart. If you’re out there looking for the best way to achieve that perfect drum tone for your music, look no further — here is a guide to walk you through the basic list of things that will dictate how your drums sound. The first important ingredient that will play a role in how your drums sound is simply knowing how big they are. In general, bass drums typically range from 20 inches to 24 inches, where a 20-inch bass drum is great for portability and commonly used when bands are performing live somewhere. On the smaller end of the spectrum, this kick drum will also be much more attack-heavy giving you a nice higher frequency punch, while cutting back a little on low-end resonance. As you take steps up into 22-inch or 24-inch kick drums, these are more commonly found in recording studios or for those that want a big, booming sound from their kick drum. Rack and floor toms are not as large as bass drums, but can certainly have a lot of depth to them which impacts their tone as well. If your goal is to achieve a large, boomy drum tone, you’ll be better off with larger sizes in each drum. On the flip side, if you need something more tight or laid back — perhaps for a pop tune or with a jazz band to bring out those intricate rhythms, a smaller kit will likely be your go-to. One of the most important factors that plays into getting and maintaining a great tone is keeping your drums in tune with themselves, and each other as a full kit. In order to bring out the fullest resonance from each individual drum, taking time to thoroughly tune your drums is an absolute must. Even having one lug out of tune to a small degree can really dull out your drum’s impact in a big way. 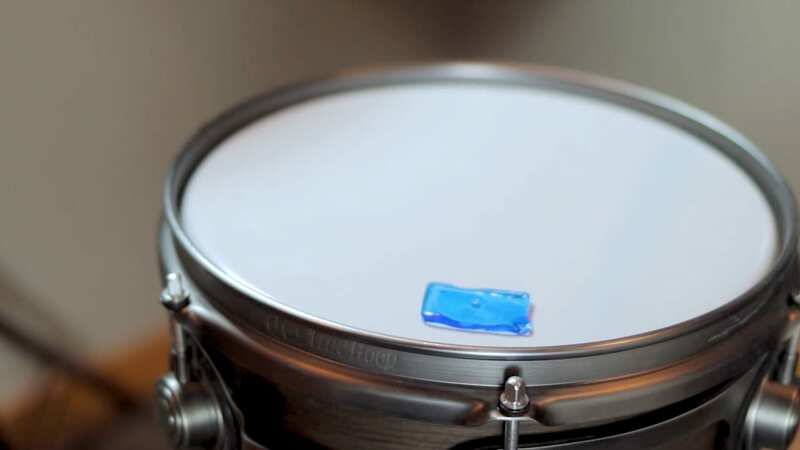 On the other hand, keeping up with the overall maintenance of your drums also includes being sure that you are changing your heads whenever they need it. Generally speaking, drum heads are built to take a beating, meaning that they are designed specifically to last for a good amount of time before wearing down significantly. But when it comes time for a head change — which can be identified easily by looking for significant ripples, dents and divots in your drum’s head, making sure you complete that process is key for keeping your drums sounding the best they can. Common drum head brands include Remo, Evans, and Aquarian. If you’re looking for a quick fix to overly resonant drums, or need a slight tone adjustment, there are some simple accessories you can use. Things like tone control rings, which fit around the outer perimeter of your drums head, will quickly shape the tone your drum makes when it’s hit, without taking much time at all. On the other hand, drum gels are small, gooey, sticky squares that can be placed, (typically around the perimeter of the drum), to tighten up a drum that is problematically resonant in order to quickly adjust to the needs of a recording situation. Finally, one of the most popularly found ways to dampen a bass drum, is through the act of placing pillows, blankets, etc., inside of the drum itself. Again, this is usually found either in a practice setting when the band is set up in a place where noise needs to be dampened, or within recording studios. Another big factor that could play a big role in how your drums will sound is simply the material that your drum is made of. 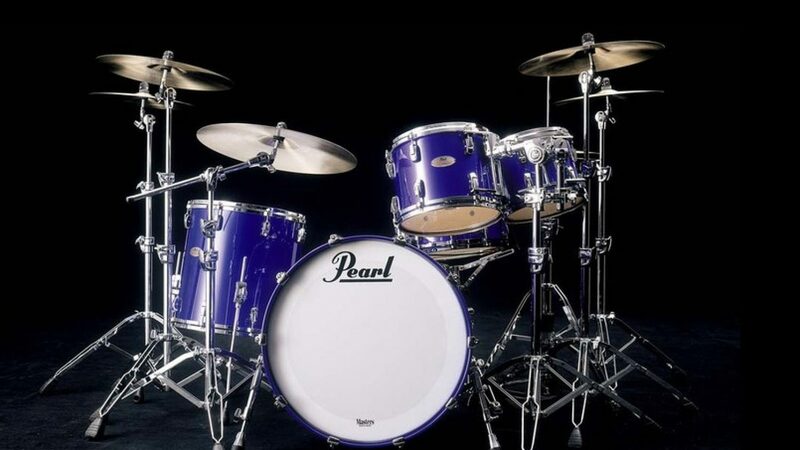 Whether it comes down to brand of kit or drum heads you purchased, or the types of wood, metal, or other material that the kit was made out of, all of these things can play a major part in what your percussive hits will sound like at the end of the day. 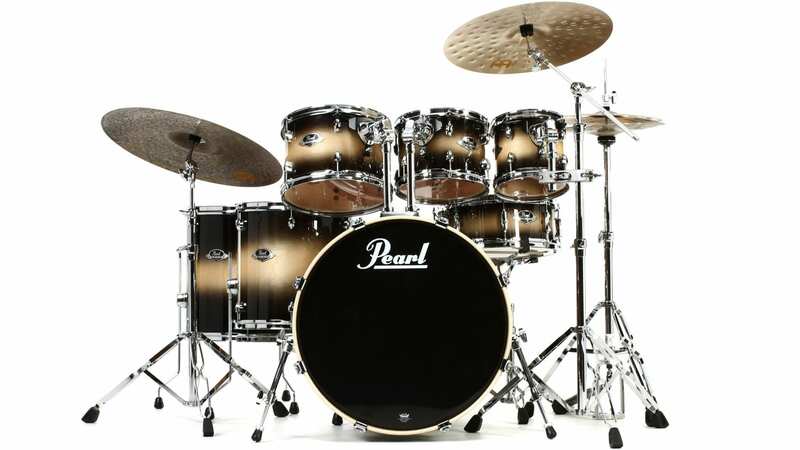 When it comes to considering what materials your drum is made out of, the two most popularly used woods are maple and birch, although drums can certainly be made out of a plethora of other wood types. Maple drum kits are known and identifiable mostly by their prominent bass tone, while maintaining a lower, more even level across the mid-to-high frequencies. Whereas drums made out of birch are known to produce mostly a higher-frequency tone with less bass than its maple counterpart. Drums can also be made from metal, and it’s common to see metal snare drums, which offer a ton of attack and bright tone. 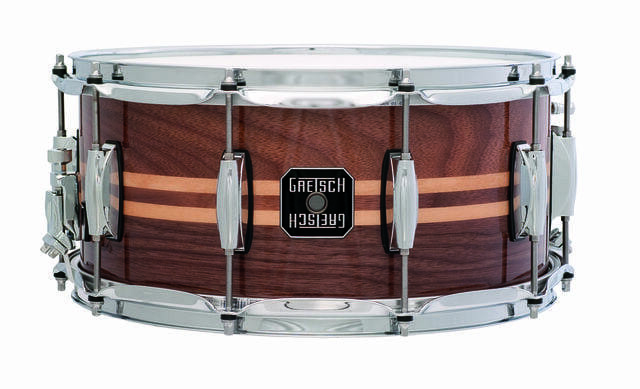 You can check out our complete guide on snare drum woods here. Aside from the type of wood being utilized in the crafting of your drum kit, another big part of what could be affecting the tone that comes out of your drums is the thickness of the wood. Generally speaking, drum shell thickness is determined by certain levels of ply reinforcement that is utilized in the creation process. The more plies, or layers of wood, the sturdier your drum will be, and the higher the fundamental tone will be. Some drums made out of metal, or most single-ply wood types can tend to be flimsy, and can have an excessive amount of unwanted ring to them. On the other hand, you can also encounter a drum which was made with an excessive amount of ply levels, which can result in the tone being so dampened that it sounds dull and dry. 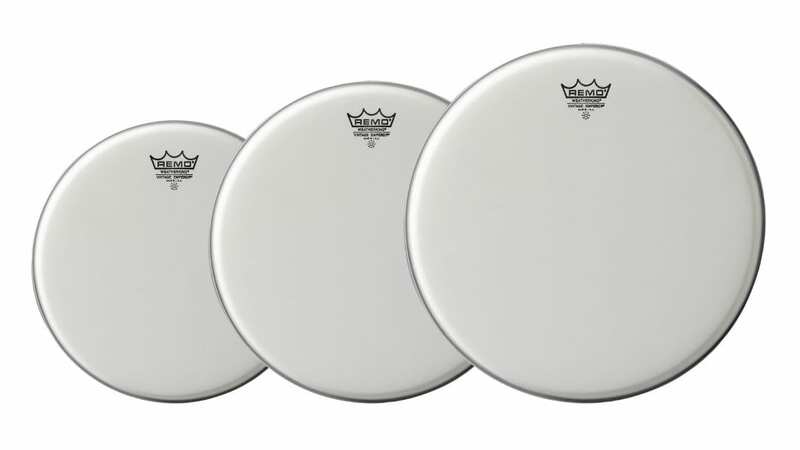 Therefore, the sweet spot you might want to aim for with the most versatility will be a drum shell with 6-8 ply levels allowing you durability, with not too much tone dampening. Finally, the last major thing to consider is the drum’s bearing edge. Surprisingly, not many drummers will think to look at the shape of the drum shell’s edge as it meets the drum head — but as it turns out, bearing edges can play a major role in what ends up hitting your ears after you hit the drum. The four most common types of bearing edge are the Standard 45 (resulting in more attack and sustain), Double 45 (emphasized harmonics), a 45 With Roundover (warmer tone), and the Vintage Roundover (to emulate an older drum tone). However, there are a plethora of hybrid and experimental bearing edge types being created every day, and each one has its own characteristic that sets it apart from the other.